We received word on Saturday that Florence Flannigan, aged 101, passed away in Colorado. Here is the Flannigan story from the Sutherland Centennial book, and Florence's obituary. In continuing her lasting legacy to the Village of Sutherland, her family has suggested memorials to the Sutherland Depot Restoration Project. James Edward Flannigan and Florence (Kunz) Flannigan were both born and raised in Stuart, Nebraska and graduated from high school in 1932. Jim went to Omaha to find work and Florence went to Casper, Wyoming. They were married in Omaha in 1937, where their first two daughters were born: Patricia and Judy. In 1943 they moved to Sutherland where Jim accepted a position with Morman Mfg. Co. Two more daughters were born in the Sutherland Hospital: Michele and Jane. All four girls attended and graduated from Sutherland High School. While Jim spent many hours as a salesman, Florence was busy at home with her family. She joined a bridge club in the 1950s and is still a member of this same club. She is a member of the Sacred Heart Altar Society and active in church affairs, having served in many offices. She was President of the Diocesan Council of Catholic Women for the North Platte Deanery. She also completed the Hospice Volunteer Training Program in North Platte and became a Hospice volunteer. She is a Canteen Chairman for the Red Cross Bloodmobile, volunteer at Bethesda Care Center, and serves on the election board. From the North Platte Telegraph. 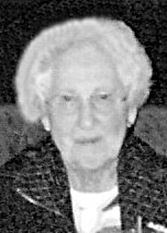 Florence Flannigan, 101, of Aurora, Colo., formerly of Sutherland, passed away Dec. 20, 2014, in Colorado. Florence was born Nov. 3, 1913, the sixth of 10 children, to Donat and Emma Pettinger Kunz at Stuart. Her family was important and Florence stayed close to them throughout her life. Every three years the family would meet for a reunion. It was not an event to miss. Florence grew up in Stuart and attended St. Bonifice Elementary, then graduated from Stuart High School in 1932. On Sept. 7, 1937, Florence was united in marriage to her high school sweetheart, James Edward Flannigan, in Omaha. They moved to Sutherland in 1942 where Florence became a mother of four girls and the wife of a salesman. The Flannigans built their home during the war when it was difficult and next to impossible to get supplies for the building. They started out with two government granaries, then over the years and several additions later, it ended up being a lovely home and well lived in. Florence was a true housewife, doing all the housewifely duties expected during the ’40s, ’50s and ’60s and then some. The freezer was always full, the pantry lined with canned tomatoes, beans and fruit, and the garden was big enough to share. To Florence, these were her happy years. While Florence was busy at home with the family, Jim started Flannigan Chemical Co., which he operated until he retired in 1974. With Jim’s retirement and the girls going off to college, Florence’s life changed. They were now able to do some wintering in the South until the early ’80s when Jim’s health began to decline. After nearly 58 years of marriage, Jim passed away in 1995. Florence was a member of Sacred Heart Catholic Church and the Altar Society. She was active in church affairs, having served in many offices and was president of the Diocesan Council of Catholic Women of the North Platte Deanery. Florence helped others through her volunteer work at Bethesda Care and as a Hospice volunteer. She was a Canteen chairman for the Red Cross Bloodmobile and served on the Sutherland election board. Florence joined a bridge club in the 1950s and was a member for over 40 years. After playing bridge for years and years (until February 2011), Florence was really good at it. She and Jim also had a long-standing cribbage game and liked playing bridge with old friends. Florence was always agile and active; even into her 70s she could get up from a sitting position on the floor without using her hands. Along with her husband, Jim, Florence was preceded in death by their daughter, Michele “Mike” Arnold; son-in-law, William Echternkamp; her parents, Donat and Emma Kunz; five brothers; and three sisters. She is survived by her daughters, Patricia Echternkamp, of Seattle, Wash., Judy (Larry) Sheppard, of Denver, Colo., and Jane (William) Patnaude, of Elk Point, S.D. 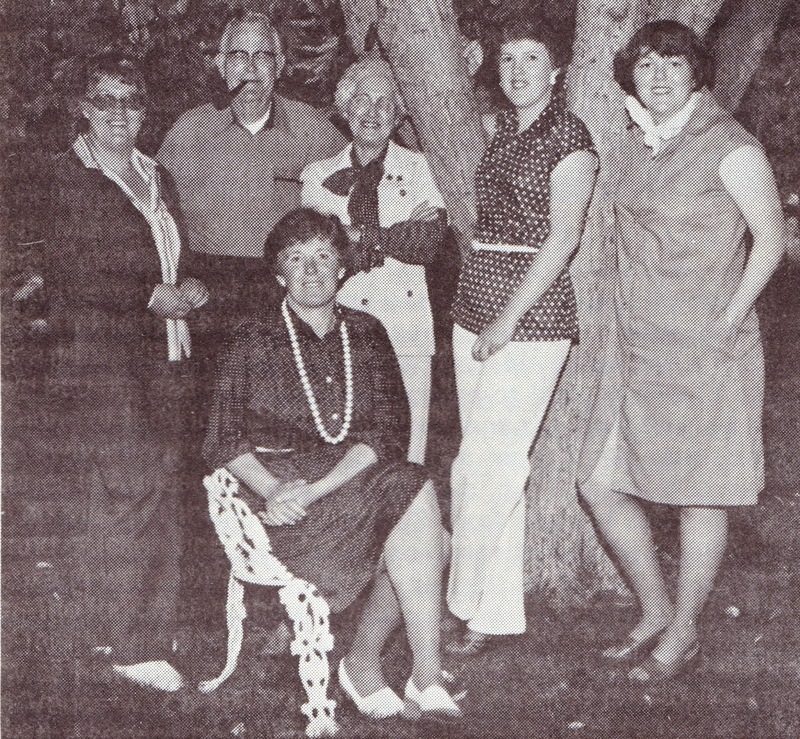 ; son-in-law, Sanford “Sandy” Arnold, of Scottsdale, Ariz.; 12 grandchildren, Scott Echternkamp, Amy Hageage, Sarah Echternkamp, John Sheppard, Therese Sheppard, Todd (Monica) Sheppard, Megan Arnold (Michael) Wuertz, Dana (Amber) Arnold, Matthew (Mayme) Patnaude, Ryan (Karen) Patnaude, Sarah (Cannon) Gies and Jordan Patnaude; 14 great-grandchildren; her brother, Bert (Edi) Kunz, of Lincoln; and many nieces, nephews and other family. Memorials are suggested to the Sutherland Historic Depot Restoration Project.